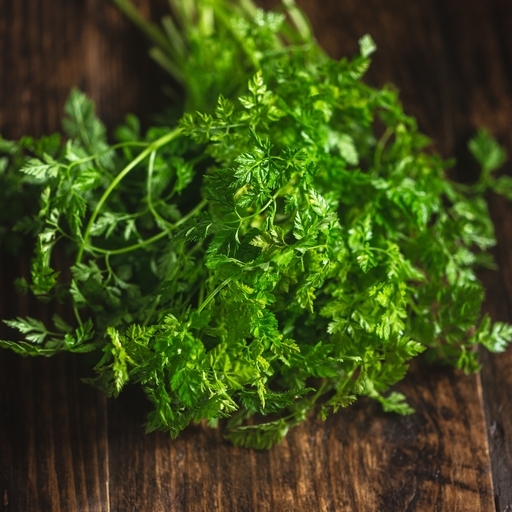 Chervil is a feathery herb with a mild, sweet liquorice note. You can use it as you would parsley, especially with fish or eggs. It really comes into its own thrown into a delicate ‘fines herbes’ omelette, alongside chopped tarragon leaves and chives.